HANOVER, Germany (Reuters) — Some Volkswagen (VW) managers are struggling to adapt to the German carmaker's drive to improve accountability after its diesel emissions fraud, its chief executive said, suggesting it could take years to establish a new corporate culture. The attempt by the world's largest automaker to become more transparent and decentralize power is seen by investors as a key part of its campaign to regain trust following its admission in 2015 that it cheated U.S. diesel emissions tests. But trying to convince Volkswagen managers of the need to change is still proving tough 20 months after "dieselgate" broke, according to Matthias Mueller, who became CEO a week after the scandal came to light in September 2015. Before "dieselgate," there was an extreme deference to authority at VW and a closed-off corporate culture that some critics say may have been a factor in the cheating. "The process (of change) has been started but it's a process," Mueller said. "One now has to endure this, also as chief (executive), that some things go wrong and some things remain unsuccessful while other things are successful." 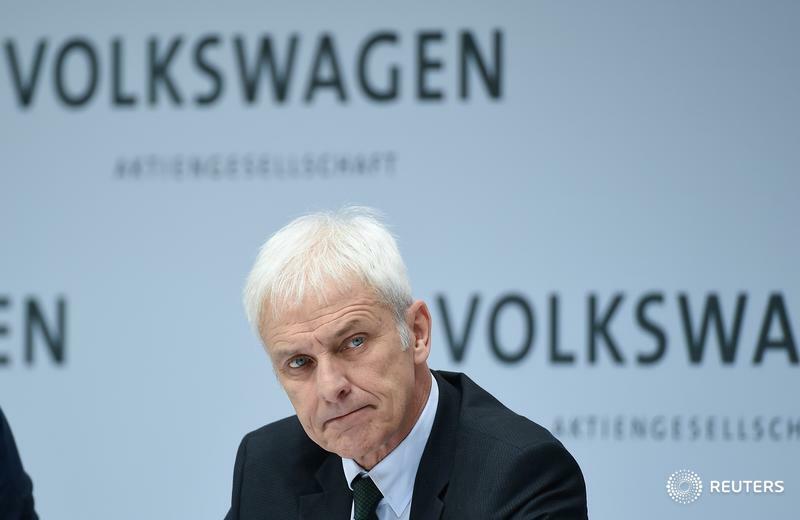 Many mid-level managers thrived under pre-dieselgate arrangements that allowed them to shift responsibility to others, and they are struggling to embrace Mueller's drive for openness and leadership, sources at VW have told Reuters. After Porsche's ill-fated attempt in 2008-09 to take over much-bigger VW, Mueller said it took him three years as CEO of the sports-car maker to establish a new culture at the firm with its then-12,000 workers and shift the focus back to the product.